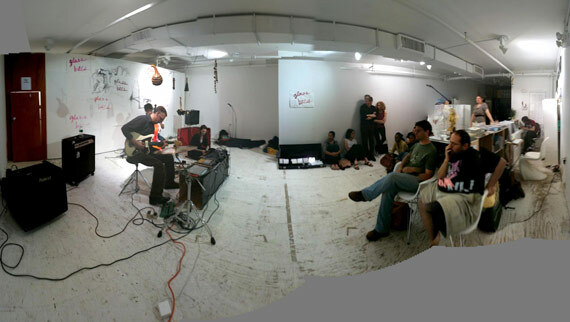 We performed on FRIDAY, JUNE 26 at 8:00 pm at ENVOY ENTERPRISES, 131 Chrystie Street (between Delancey and Broome) on the Lower East Side, NYC. with very special guest … BLEVIN BLECTUM! Blevin is an electronic musician who has released many highly regarded recordings. She is also 1/2 of the groundbreaking digital duo Blectum From Blechdom who, in addition to having pretty much the greatest band name ever, won the 2001 Ars Electronica Award of Distinction in Digital Musics for their album “The Messy Jesse Fiesta.” This is like winning a Pulitzer Prize for Electronic Music, folks. We were thrilled that Blevin agreed to make the trip down from weirdbeat Providence, RI, and that this happened in a central but off-the-beaten-path venue.